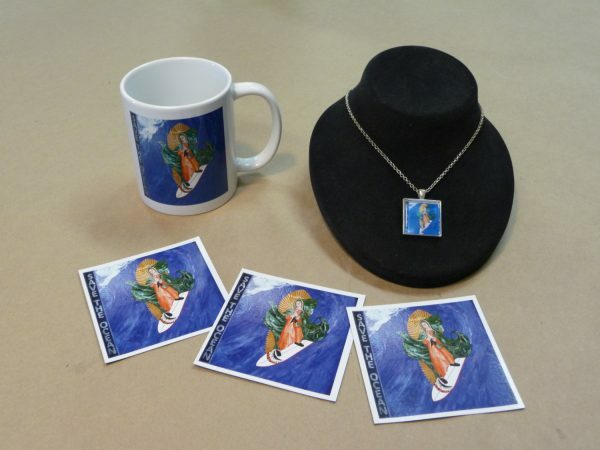 We sell Surfing Madonna mugs and magnets. We only have 5 necklaces left in stock! And one 14″ X 14″ canvas giclee.